Flares are easy. You have to buy a special tool to make them, but it’s not expensive. And you’ll get connections you can easily take apart and put back together. 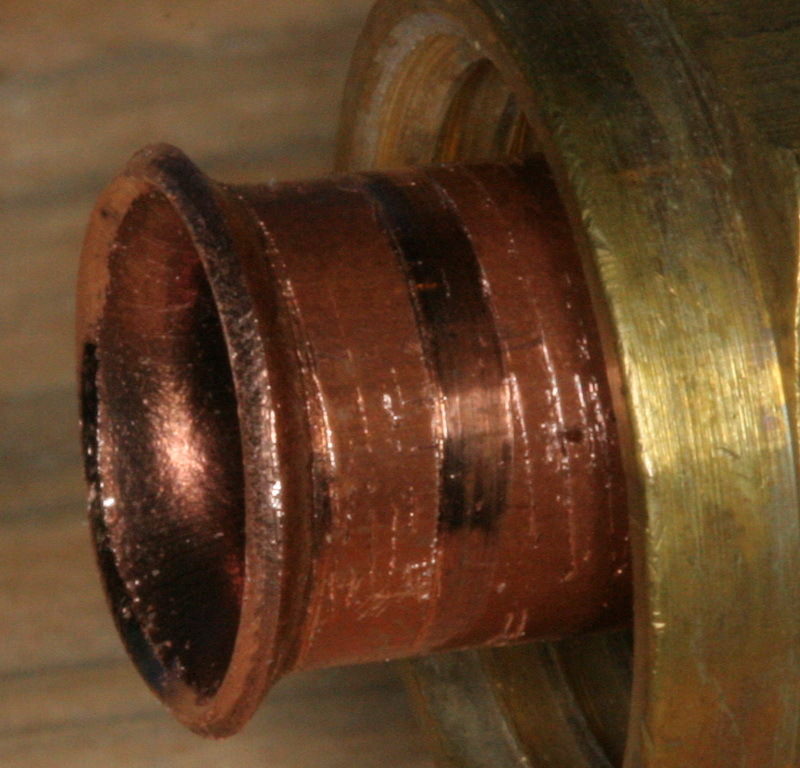 Be aware that there are multiple standards for flare fittings, which mostly just differ in the flare angle. The common ones you’ll find at Home Depot are 45° SAE flares. There are also 37° AN and JIC flares, which are designed to handle higher pressures, for hydraulic applications, things like that. 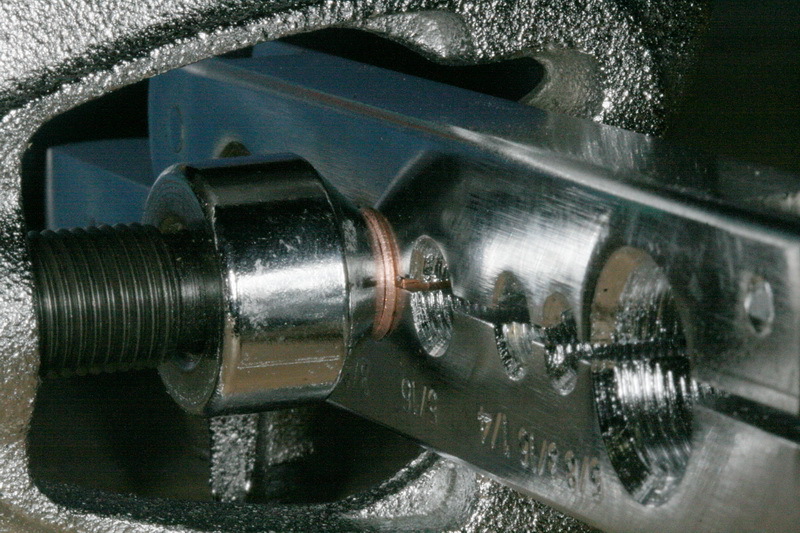 The fittings and tools for these different standards are incompatible, so don’t mix them up. Unfortunately, the only stainless steel flare fittings that I’ve ever found are of the 37° variety. 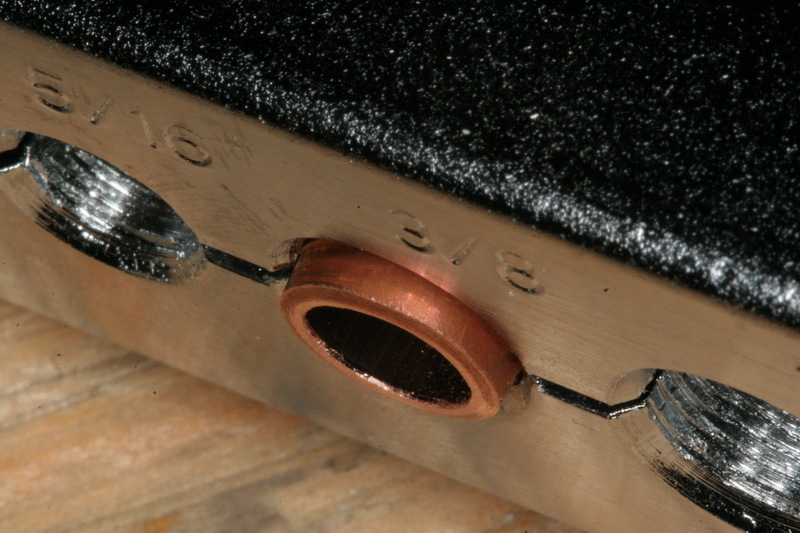 Clamp the tube in the flaring tool, with only a small amount of tube sticking out. 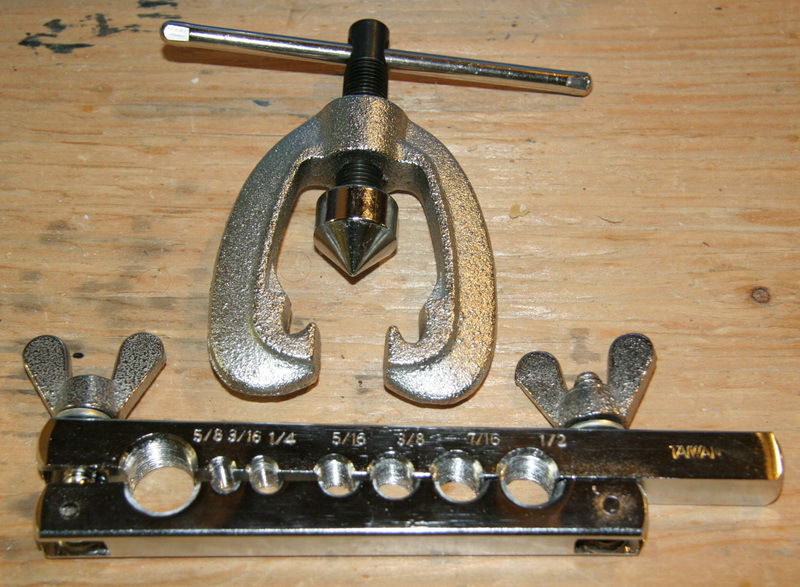 My flaring tool says 1/32" to 1/16" of tube should stick out. 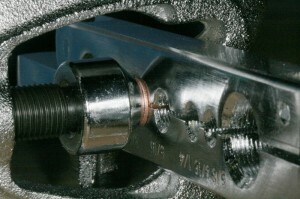 Install the wedge and screw on the flaring tool, and drive the wedge into the end of the tube to flare it. Remove the flaring tool. You're done. 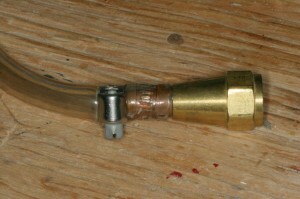 You can use flare connections as sort-of-quick connects for flexible tubing too. The pressures during the brewing process are so low you can sometimes get away with just tightening them by hand. 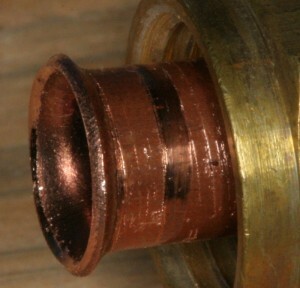 Just use a short stub of 3/8″ OD copper tubing. 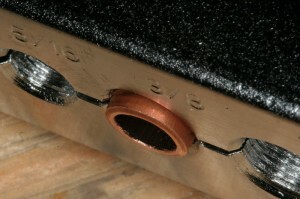 Get some 3/8″ID vinyl hose, put a hose clamp on it, slide it over the copper tubing, and tighten the clamp. I wouldn’t trust this at high pressure, but brewing pressures are very low. We just need something that won’t drip. We use flare fittings n the Philippines a lot. 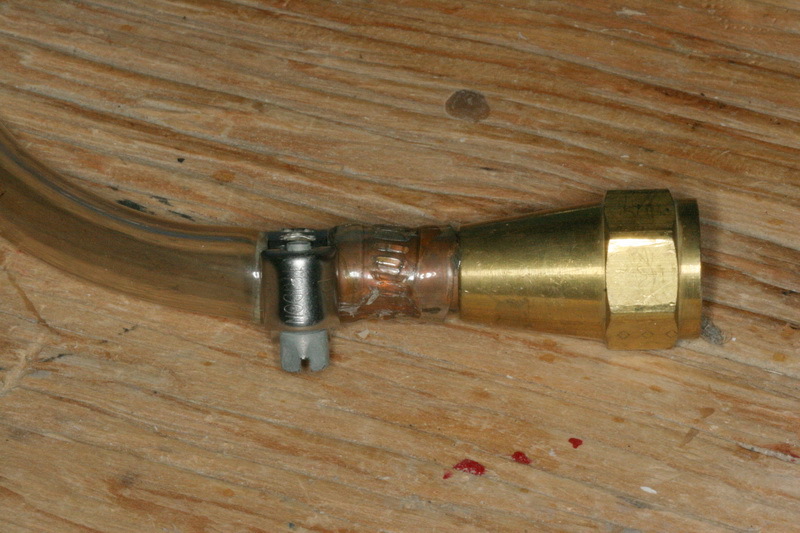 What I’ve noticed in the USA, you use compression fittings more than flared fittings. Why? 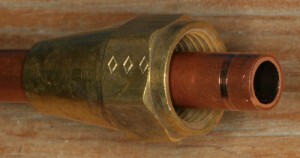 Flared fittings can handle more pressure than compression. They’re cheaper also but the downside is that SS MFLs are usually limited to 3/8 size only. 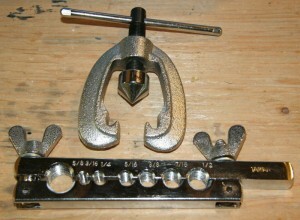 1/2 MFL x 1/2 MPT SS are very hard to find including the flare nut. 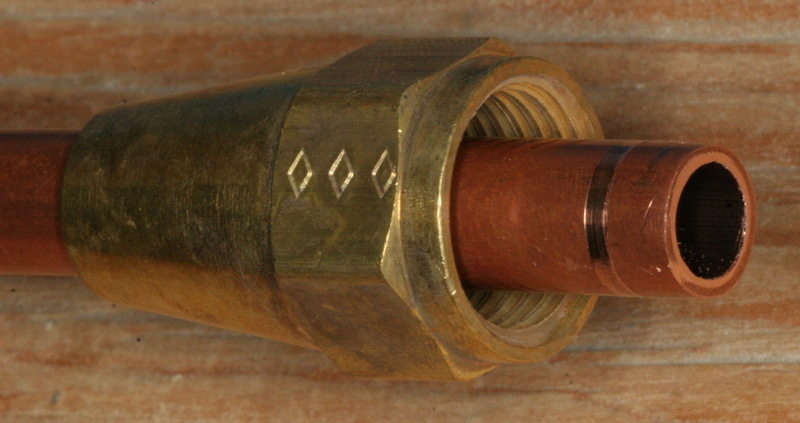 It is only late this year that I found out FOXX EQUIPMENT SUPPLY carries 1/2 SS flared fittings and that’s good news.